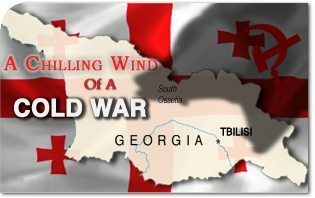 If there is any conclusion that can be taken from the Russian invasion of Georgia, it is that there has been a major change in the world panorama. In a political atmosphere where many are clamoring for change, this chilling change of climate does not bode well. With the carefully-timed invasion at the opening of the Beijing Olympics, Russia bullied its way on to the world stage. Its unsophisticated armed forces, complete with marauding Cossacks, quickly overpowered the small Georgian armed forces and looted the occupied areas. In so doing, Russia sent a signal to the West that it thinks its era of ex-superpower is over. The central problem of this change is not the complex ethnical and territorial issues that plague all of Eastern Europe. These are definitely issues that must be discussed and resolved. It is not even about Russia’s right to assert itself as a nation. The change is about a policy of aggression outside of the rule of international law that has been put in place, threatening world stability and security. Awash in Western petro-dollars, Russia’s display of bluster and bluff seems intent on challenging the West to a new bout. Of course, everyone knows that the bombs falling upon Tbilisi and Gori reverberate well beyond the weak democratic nation of Georgia. They rattle the windows of all Russia’s former Baltic and East European satellites who have embraced the West. The shabby excuses to “reestablish order” in South Ossetia and Abkhazia will serve equally well to act in similar regions. The consequences of the Georgia action are only too apparent to those nations who long suffered under the Soviet yoke. Poland, Ukraine, Estonia, Latvia and Lithuania clearly read the handwriting on the wall and courageously hurried to Georgia’s defense. Poland has hastily signed an accord to put missile defense systems on its soil immediately provoking the growling irritation of the Russian bear. Threatened countries are asking to join NATO as insurance to their independence. The bombs on Georgia also rattle world oil markets as Russia handily put the oil-rich Caspian Basin in its pocket by effectively cutting off the only independent pipelines in the region. Since Russia is one of Europe’s largest energy suppliers, the “Georgia card” strengthens the hand of Russia which is only too willing to intimidate Europe by threatening to turn off the spigot. All the while, the West fiddles while Georgia burns. More than territorial gains, the Russian annexations are meant to test Western resolve. A calculating Russia seems to count on the lack of union in the European Union. She takes advantage of the uncertainty around the coming American elections and commitments in Iraq and Afghanistan. The only conclusion to be taken is that a major policy change is happening: Moscow no longer shies away from military action in pursuing its interests. The West must show resolve by adjusting its policies accordingly. 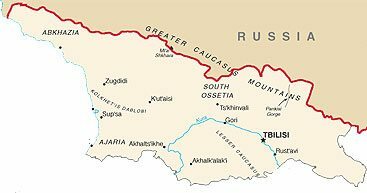 Russia borders Georgia for almost 500 miles. The implications of Russia’s move extend well beyond neighboring countries. It calls to mind the threats to world peace mentioned by Our Lady at Fatima. From the chilling winds of a Cold War, one can see that the Russian danger that seemed so distant after the fall of the Berlin Wall is back at the gates. The warning of Our Lady at Fatima about Russian errors spreading about the earth now comes back onto the stage – and her message is ever more timely. This entry was posted in News Commentary and tagged focus on history by John Horvat II. Bookmark the permalink.